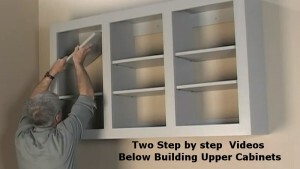 This image was taken from a video on our site about building cheap storage cabinets. Here he is installing the upper wall cabinet shelves. 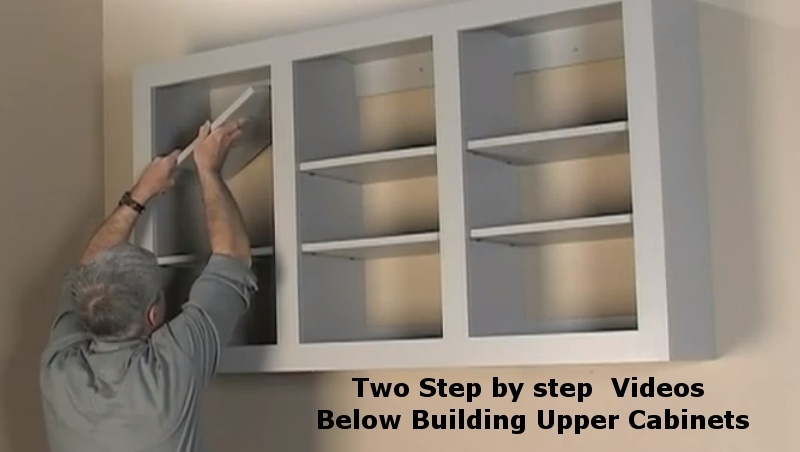 This upper storage cabinet was fabricated out of plywood and painted. The joints are all held together with Kreg joinery.